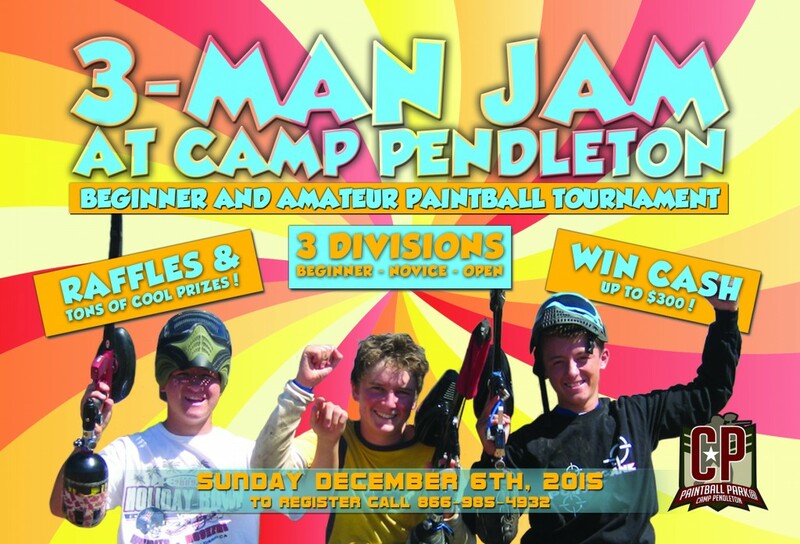 Want to try out Tournament Paintball? We are holding another awesome 3-Man Tournament and it’s just around the corner!! Sign up today for the 3 Man Jam. All experience levels are welcome! This is the perfect event for any paintball players who are entering their first tournament or are new to the game and want to play in a competitive format for some cool prizes.